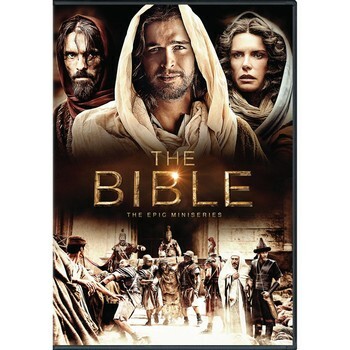 With the movie Son of God releasing in theaters tomorrow, February 28, for the past two Thursdays I’ve been rerunning a three part series I wrote on last year’s History Channel miniseries, The Bible. This is the final installment. 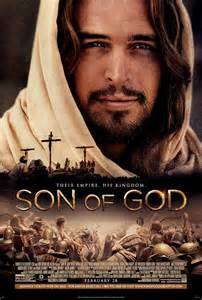 Son of God is Roma Downey’s and Mark Burnett’s movie about Jesus that is drawn from The Bible’s scenes pertaining to His life and ministry, as well as deleted scenes that did not make it into the miniseries. I have not seen episode 4 or 5. It continued downhill from there. The only episode that didn’t make me absolutely cringe (though there was still some major cringing) was the very first. After that I wished I could make it stop. I was grieved having to watch the word of God mangled onscreen. I just heard an interview with the Downeys today where they promised how biblical this will be I am quite unhopeful in that regard. There is no reason to hope that “Son of God” will be more biblical than “The Bible” because “Son of God” was taken directly from “The Bible” miniseries, both scenes that aired and scenes that didn’t make the editorial cut. If you’ve seen “The Bible,” you’ve essentially seen “Son of God,” at least that’s my understanding of what’s been said in the media.